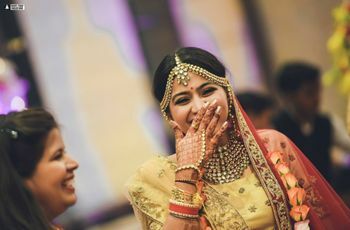 Must Look at These 8 Things While Buying Wedding Jewellery Online Before You "Add to Cart"
Must Look at These 8 Things While Buying Wedding Jewellery Online Before You "Add to Cart" | Wedding Tips ARE YOU A VENDOR? Buying wedding jewellery online can be an overwhelming task. With so much to choose from, brides may get confused. 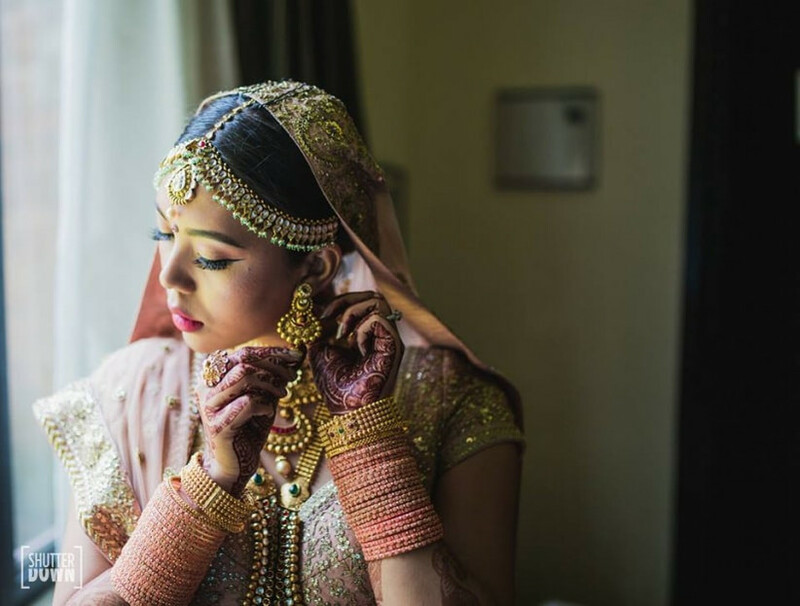 To ease your confusion, we have compiled a few pointers that will help you choose the perfect wedding jewellery. Buying wedding jewellery online is no joke. 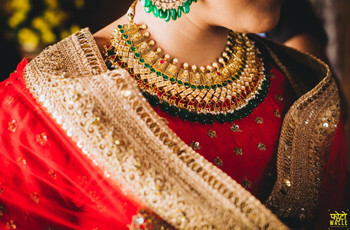 Before you sit down in front of your laptop or take the cell-phone out of your pocket to shop hop online, it’s extremely important that you set an upper-limit budget after consulting your parents or your significant other or maybe want to consider the total budget you are spending on the wedding before deciding what can be the particular amount you are willing to invest on jewellery. Once that is set, you start exploring your choices in the types of metals, designs, precious and semi-precious stones that are available on various platforms. When it comes to buying wedding jewellery online, you’ll get a lot of comments and suggestions. The conventionals will say it is better to get it physically checked and confirmed before buying, the millennials will cheer for you as you browse through the internet. Before you get confused, we suggest you do a whole lot of research. Check Pinterest, Instagram for inspiration and the latest designs that you can incorporate in your own styles. Always remember, if you have a reference image sorted, it will easier for your family to help you search for the perfect wedding jewellery. You can also browse through our Real Wedding pages for inspiration. 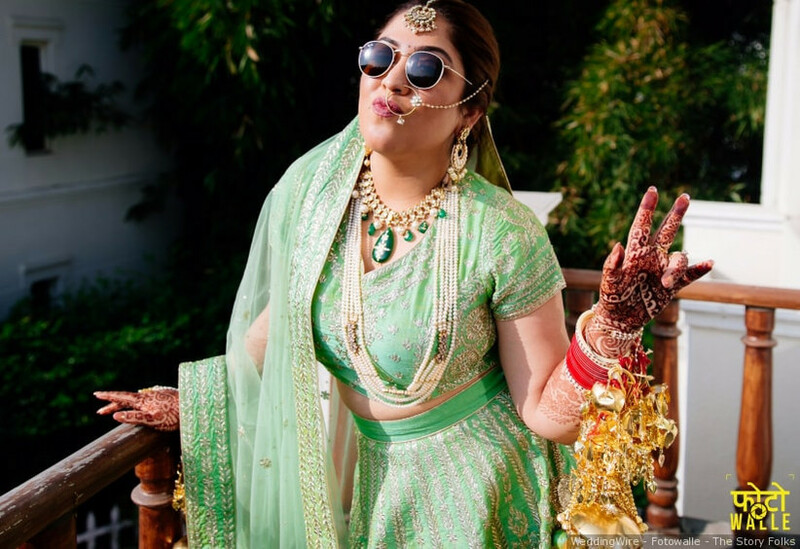 You may end up liking what other brides were flaunting on their special day! If you’re planning to buy imitation wedding jewellery online, then you must gather whatever information you can on the brand and the metals used in making that jewellery. You wouldn’t want to catch any skin allergy on your wedding day. The photographs are mostly edited and the lighting is set in a way that enhances the original look and feel of it. It might be dull and shabby looking and not fit for your gorgeous celebrations so make sure to read the reviews about the product before purchasing it. The reviews will help you decide on the quality of your jewellery, and whether or not you should be buying it. If you’re buying wedding jewellery online that is imitation, there are chances that the jewellery you shortlisted, might be available at a better price on another website. So, compare the price of the jewellery on different websites and then buy it, so that you can save a little bit. In case of real jewellery, the same design may not be available in all brands, but you may find a similar piece is a slightly different quality which may be slightly easier on the pocket. 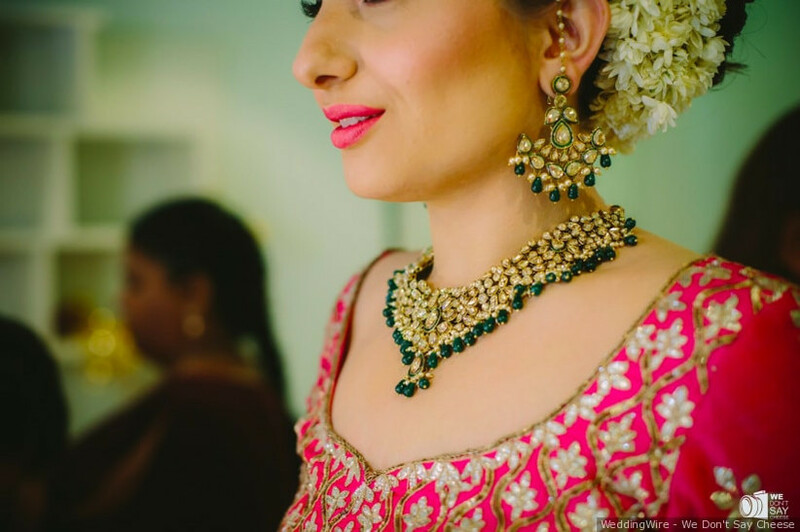 Get an idea on the cost of bridal jewellery sets all over the web. 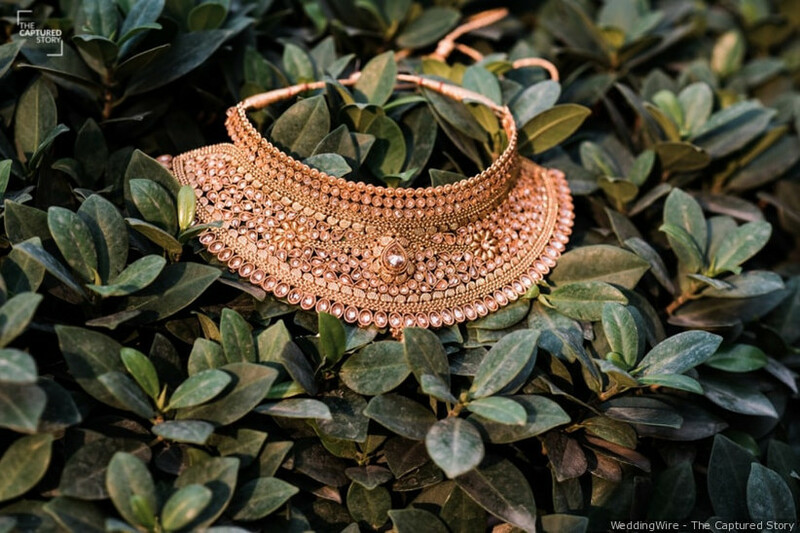 Each jewellery piece is unique and that is exactly what you need when you doll up in gorgeousness, draped in yards of elegance. 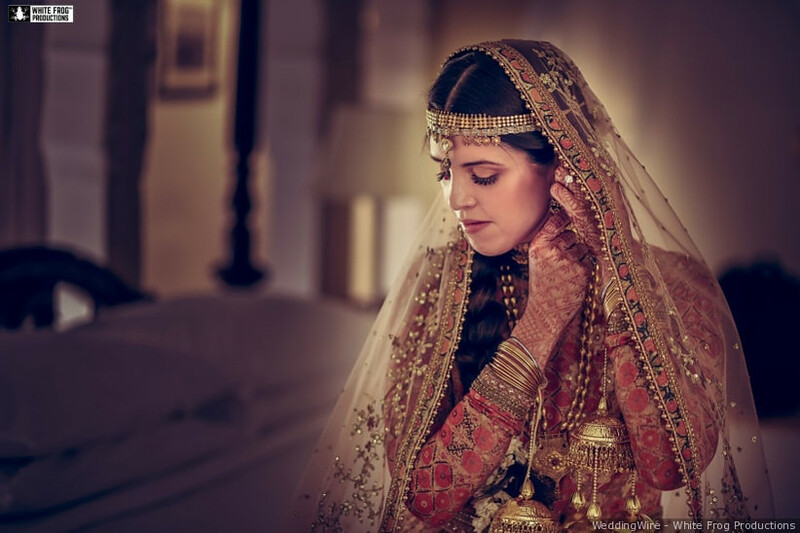 What suits you, may not suit another bride and this is what makes each bride a special one in their own way. 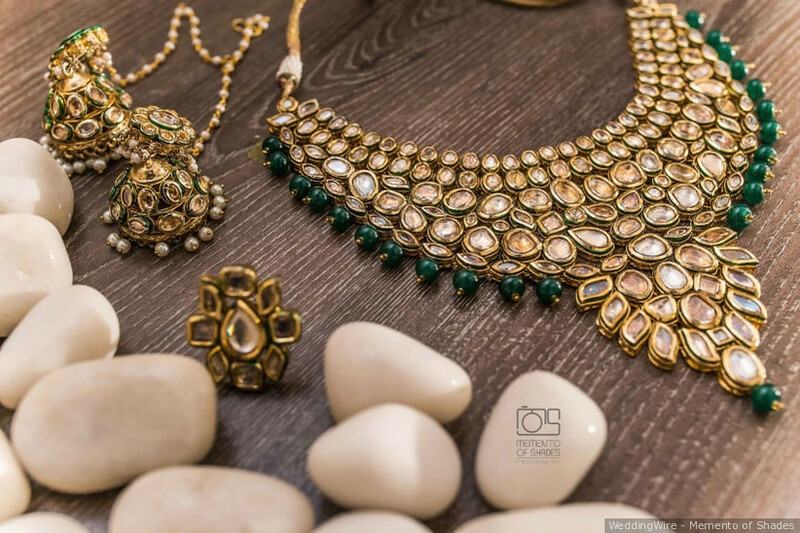 Before buying wedding jewellery online, be it any piece, if possible, go to a store and try different designs. Also, keep the neckline of your wedding outfit in your head. Choose from a variety of Chokers, Satlada necklaces, Rani-Haar and more. Sometimes we assume that a particular type of necklace will suit us more, but after trying it on, we feel it’s not complementing our outfit. Hence, trying on wedding jewellery before buying it is very important. 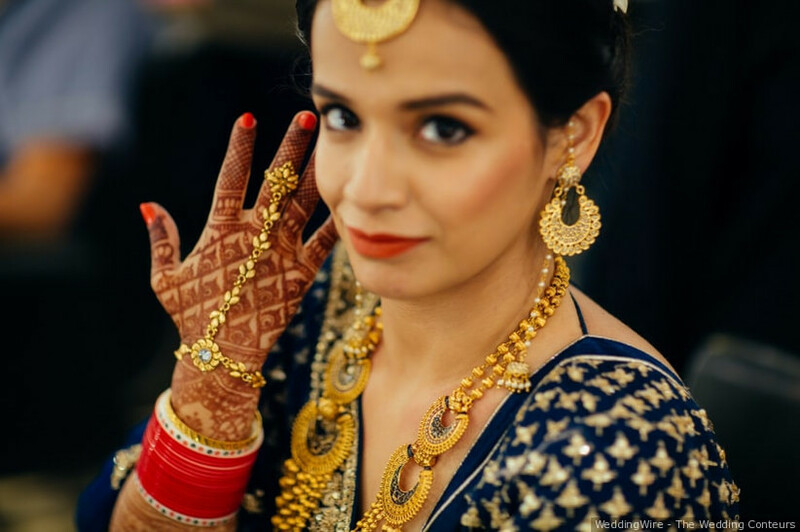 Even though wearing bridal jewellery is all about wearing it with confidence, but it’s always better to buy a piece that will suit your face cut. If you have a round face, avoid wearing a broad Matha Patti as it will make you look fuller. Instead, opt for a Maang Tikka. If you have an oval face, avoid longer necklaces, and choose a necklace that enhances your collarbone. It is a fact that rather than driving through the lanes and getting tired, you can relax on your couch or any comfort zone in the house and the exemplary catalogues will be on your fingertips to click and browse for the best of designs that will also provide you with more options than a store probably. 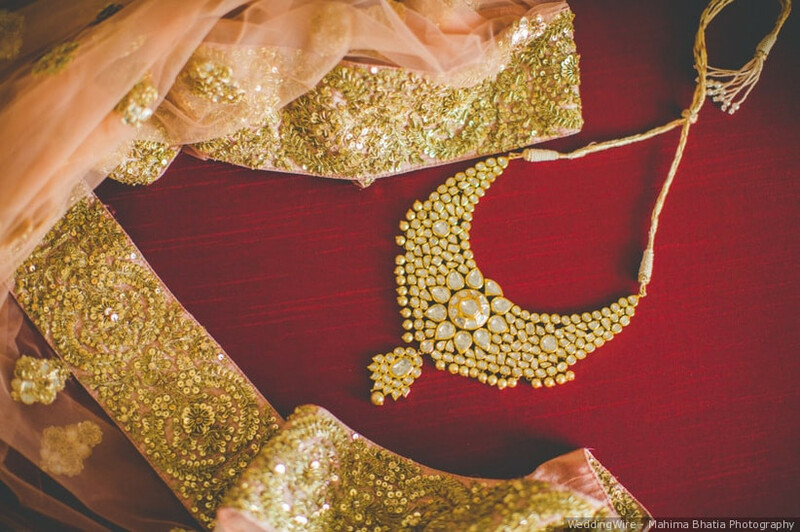 Wedding jewellery online stores are commendable! 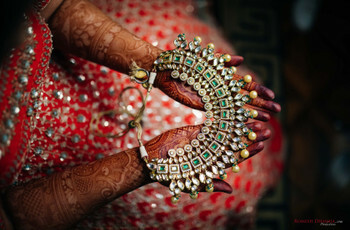 Indians are blessed with gorgeous skin and traditional jewellery like Polki suits all skin tones. If you’re a slightly deeper skin tone then you can pick a dull gold set. If you’re a lighter skin tone then opt for bright gold. Diamonds complement different kinds of precious stones, so there’s no harm in buying jewellery that goes well with your skin tone. 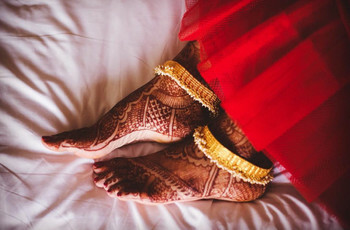 While surfing the websites for buying wedding jewellery online, you should make sure about their trademarks and hallmarks or other certificates of authorisation to genuine jewellery and ornaments. As much as you wish to buy contemporary and edgy designs, let us remind you that real jewellery is an asset. Since it is so expensive, you must invest in pieces that are evergreen and can be repeated. 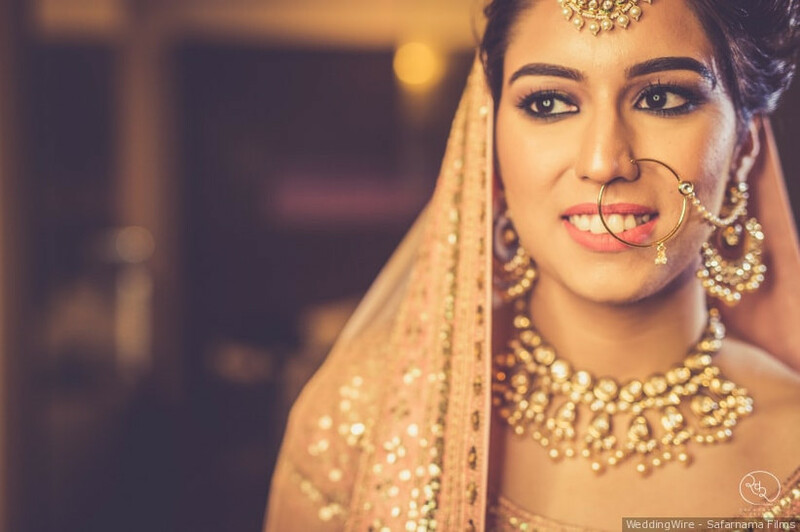 Since bridal jewellery is a major part of the wedding budget, it is important to keep these points in mind before you start buying wedding jewellery online. If you have some more tips for brides-to-be, please feel free to share them in the comments below. 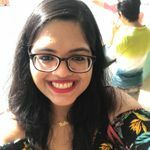 1 comment in "Must Look at These 8 Things While Buying Wedding Jewellery Online Before You "Add to Cart" "
You can also check out the pachi kundan collection necklace at https://aanyabyalex.com/ at best prices !